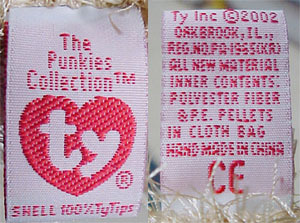 Ty Punkies Punkies first came to notice in the begining of June 2002 when someone noticed Ty Inc. had registered the trademark Punkies. But what were Punkies? It wouldn't be until almost the end of June, June 28, 2002 to be exact that we would see the announcement of Punkies! 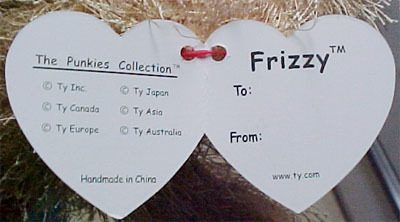 Punkies were announced with the released of Ty's new July products, at the same time Ty announced another new line named Pluffies! 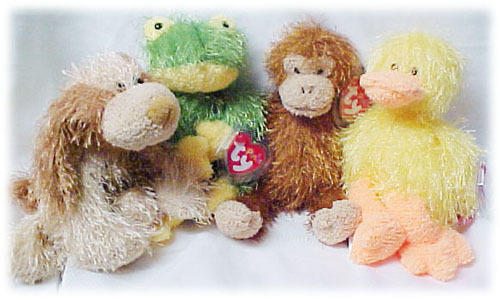 Seven Punkies were originally announced, Frizzy the Bear, Hopscotch the Frog, Rainbow the Bear, Shreds the Dog, Splash the Duck, Twizzles the Bear, Zig-Zag the Monkey . 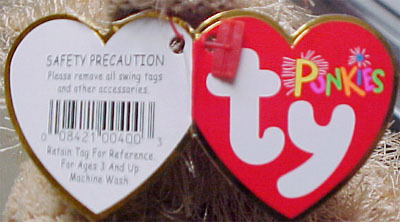 Punkies were instantly popular with Ty collectors, many were disappointed that Ty wouldn't release another Punkie until December 2002! Sizzle was released in December and another instant hit! 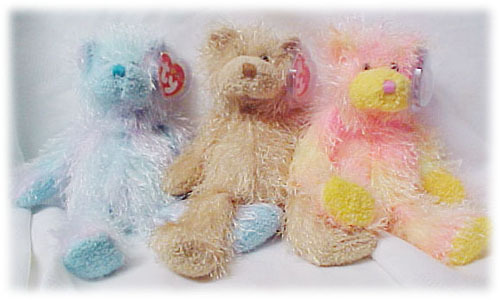 The latest batch of Punkies were announced December 27, 2002 with the relaese of T-Bone, Polka-Dot, Pipsqueak & Flipflop! Click here for a Checklist of all Punkies!